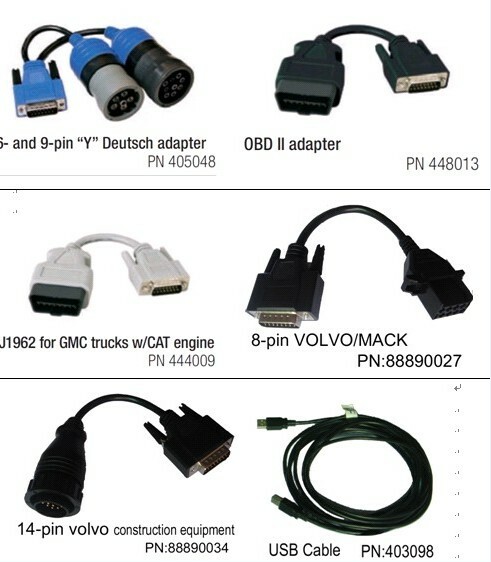 XTRUCK 125032 USB Link + Software Diesel Truck Interface and Software is a PC-to-vehicle interface compatible with multiple software applications, XTRUCK 125032 is compatible with applications that diagnose engines, transmissions, ABS, instrument panels and more. 1) Mixed fleet capabilities with broad protocol support. 2) Quickly attaches to vehicle's diagnostic connector. 3) Easy portability increases flexibility, May be used with desktop PC or laptop. 1. Can Support Heavy-Duty, Light-and Medium-Duty Trucks, CONSTRUCTION EQUIPMENT like (Wheel loader, Articulated Hauler and Excavator), Genset. 2. Quick access to vehicle data for maintenance or management reports. It Can Not Be Updated, Otherwise, The Multiplexer Will Be Damaged. Other software can be installed in win 7 system 32 bit. If you change the computer time, and locked the Cummins software, please use the file "how to unlock the commins insite", download it, this file can help you. please contact us, a specialist will help you make the right choice.